Scimetrics, Inc. furnishes biological safety cabinets maufactured by ASA (a Texas company) and Esco is a world-leading manufacturer with tens of thousands of systems sold worldwide. We provide the best in customer service and use knowledge, based on 35 years of experience, to offer the industry's premier design and quality. 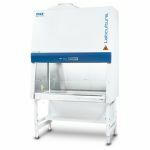 These biological safety cabinets have more features than any cabinets in their price range, delivering the ultimate in safety at very cost-effective pricing. World-leading personnel and sample protection achieved by utilizing the most effective filter technology and continuous safety checks. Energy-efficient, US-made ECM Motor creates substantial financial savings. 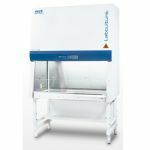 In the ESCO line there are two versions: The Airstreem and the Labculture. The Airstreem is economy oriented and comes without some features of the Labculture. The Labculture, being the most advanced biosafety cabinet on the market, has a larger sash opening, larger work area on each size model, raised and enlarged arm rest, single piece wall with coved corners for easier cleaning, covered sides with removable side panels, and negative pressure in side walls with side capture zones. 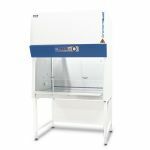 Protect lab personnel, sample and the environment with Esco's newest addition to its range of world-class biosafety cabinets, Airstream® Reliant Class II Type A2 Biosafety Cabinets. With Esco's more than 35 years of expertise in cabinet design, Airstream® Reliant is designed with energy efficiency, robustness, comfort and ergonomics. 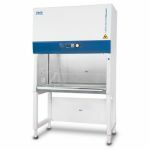 The Esco Labculture® Class II Type B2 Biosafety Cabinet ensures Operator, Sample and Environmental protection against Microbiological Agents and Chemical Fumes. Protect Lab Personnel and Precious Samples from environmental risk with the Esco Labculture® Class II Type A2 Biological Safety Cabinet. 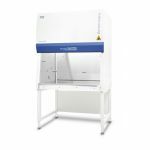 Protect Lab Operator and important specimens from contamination risk with the Esco Labculture® Reliant (LR2) Class II Type A2 Biological Safety Cabinet (E-Series).